Many of our team building events are great photo taking opportunities. We take several pictures (and sometimes videos) throughout the event and post them in a gallery so that your team can enjoy them and help reinforce the message from your event. You can find all our team building event photos by using the links below. All of the photos we take during events are free to download. Click on a link below to see dozens of photo galleries from our various events. Copyright © 2017-2019 Atlanta Challenge, LLC. All rights reserved. Template designed by ThemeSphere. Teamwork Compass® is a registered trademark of Atlanta Challenge, LLC. All rights reserved. Images copyright © Atlanta Challenge, LLC unless otherwise noted on page. All rights reserved. Turns out adults can learn through play as well as children! Great lessons in team work learned through simple, fun and challenging games. Shawn is extremely knowledgeable and engaging and helped facilitate great group discussions. We used them for a corporate function to build team camaraderie and the feedback from the participants was overwhelmingly positive. They were professional and responsive throughout the scheduling process and provided a great experience. Would strongly recommend Atlanta Challenge for team building activities. We booked Atlanta Challenge for a Sales Team building exercise. They did a great job and were well organized. We have used them multiple times by now and we can recommend them for a fun and engaging event. 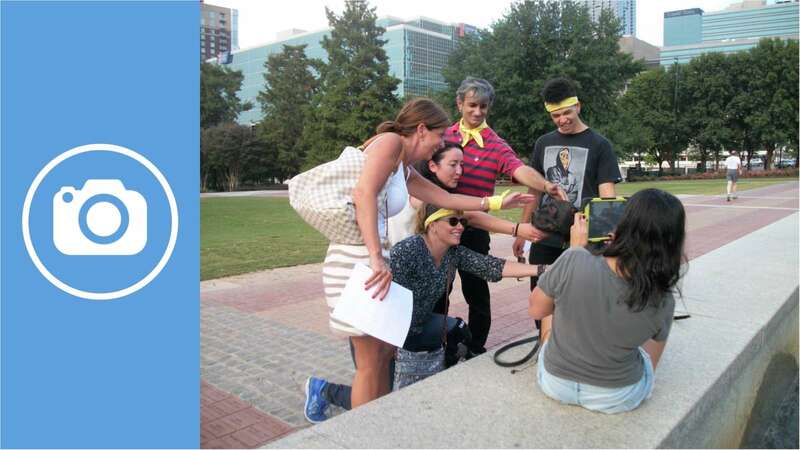 We recently used Atlanta Challenge to come out to our office and do an onsite team building activity for my department. They were professional from the beginning and assisted me in finding the best activity for my group. Bianca walked me through the steps to ensure all logistics were handled since this was taking place here at our office. She was always responsive and answered any questions/concerns that I had. Shawn was a great host/facilitator and was professional and helpful when we got stuck on certain clues (we did the portable escape room). My team had fun, which is exactly what I wanted :) Also, the prices, in comparison to another (non-local) company, were great -- very reasonable! Thanks again for such a great experience!! Instructor had great energy and really made all the games fun and enjoyable. Selection of games / puzzles really made all of us think and the lessons could be applied to our day to day work.